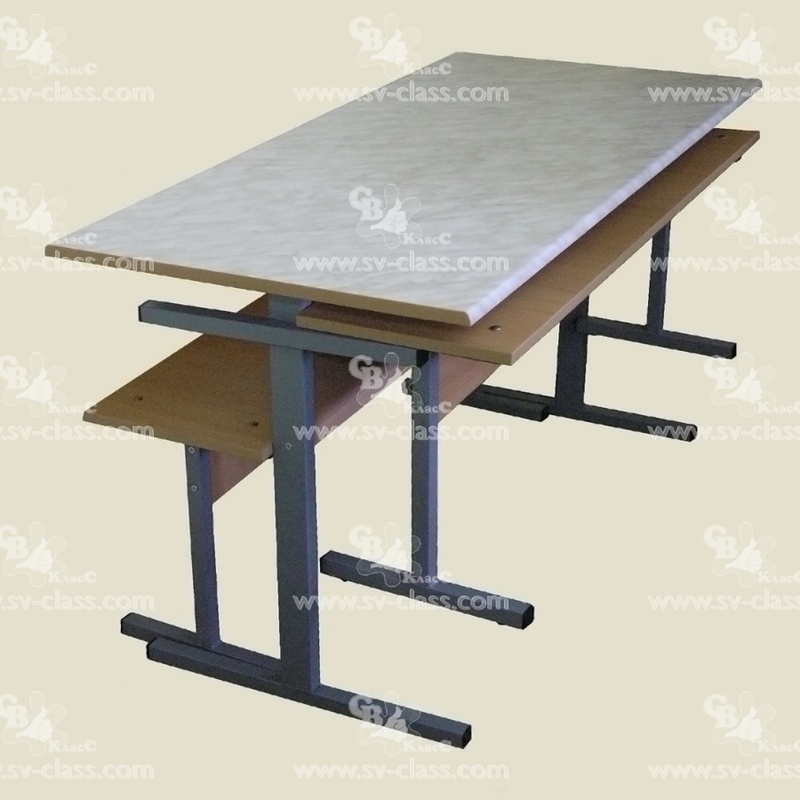 The stool is intended for the equipment of school dining rooms. 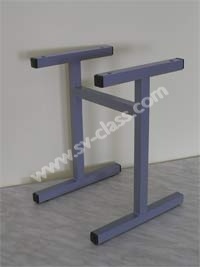 It consists of a seat and an one-piece metal support. 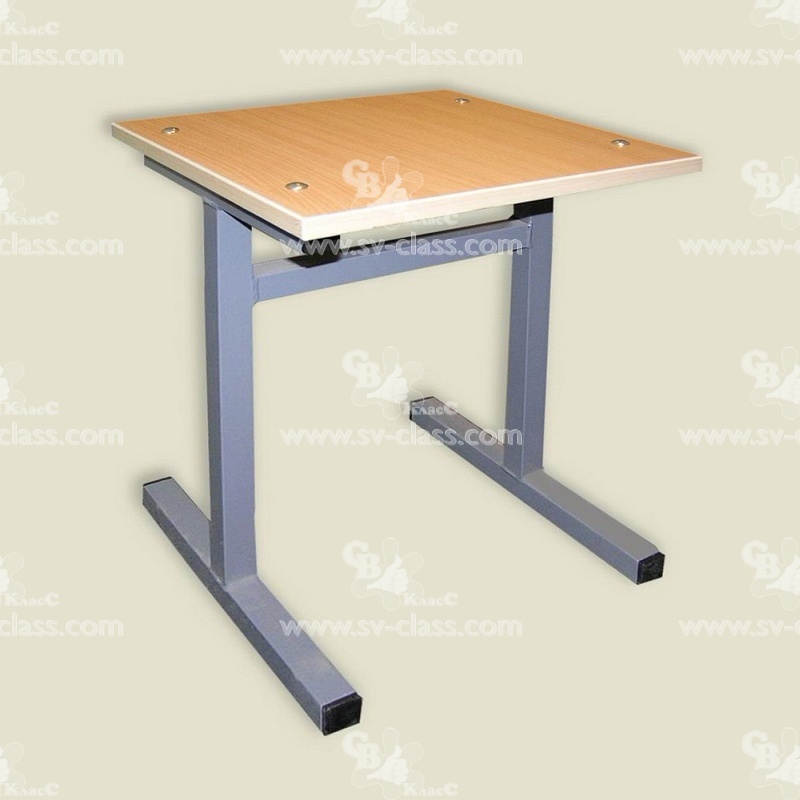 Material of a seat: laminated chipboard (color - "beech"), the PVC edges - 2 mm. 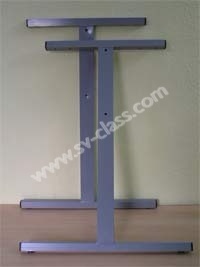 The sizes: 300*300*420 mm (5th group of height). 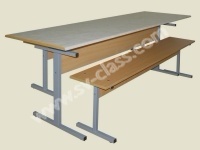 Two-seater bench has two metal supports to which a seat and a connecting board are fastened. 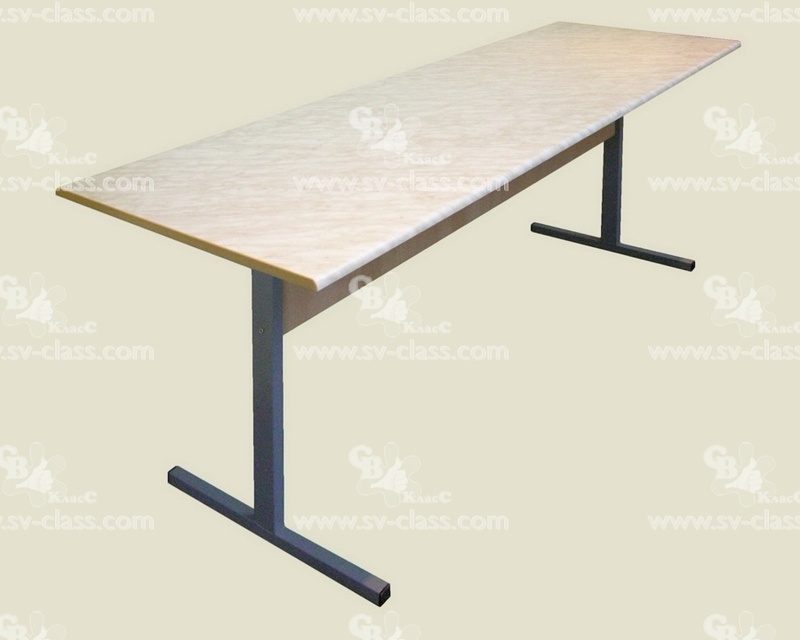 Material of the wooden part: laminated chipboard (color - "beech"), the edges of PVC. 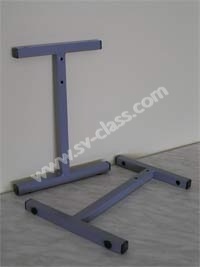 The sizes: 1050*290*420 mm (5th group of height). 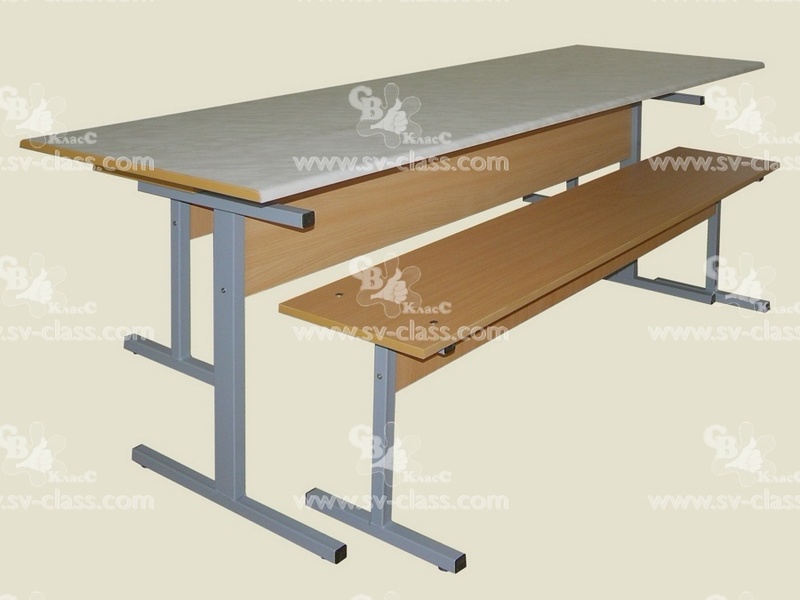 Three-seater bench has two metal supports to which a seat and a connecting board are fastened. 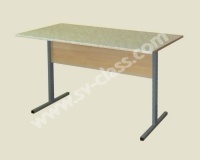 The sizes: 1500*290*420 mm (5th group of height). 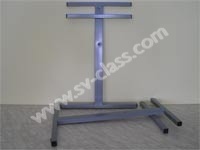 It has two metal supports to which a top and a connecting board are fastened. 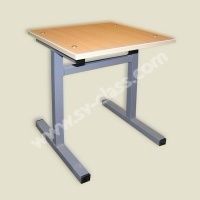 For the wish of a customer the table can be made with fastenings for suspension of benches. 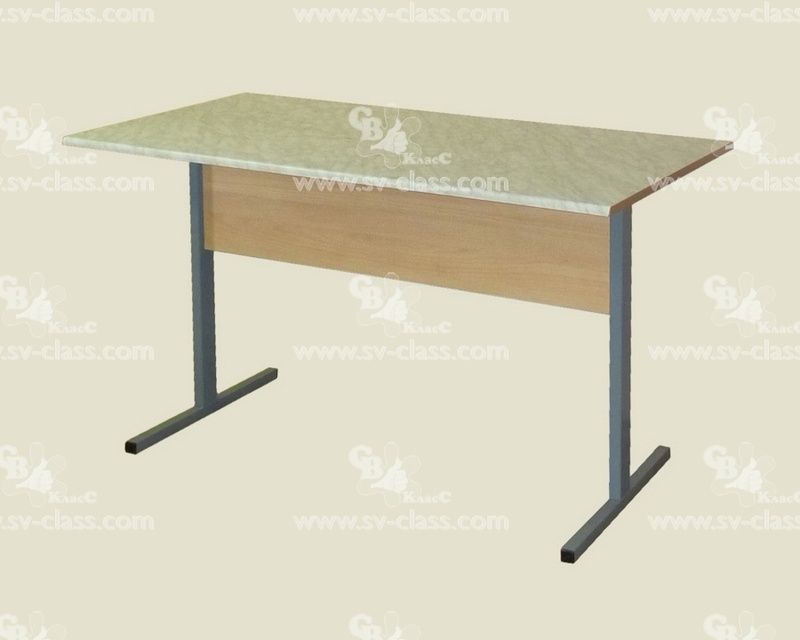 Material of the connecting board: laminated chipboard (color - "beech"), melamine edges - 0,3 mm. 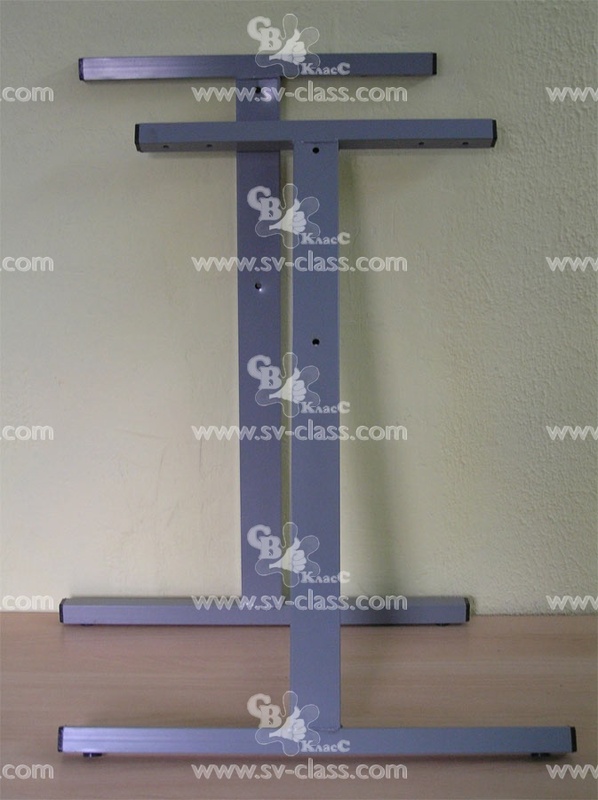 Material of the supports: a metal pipe of square cross-section 25*25 mm with a polymeric covering of grey color. 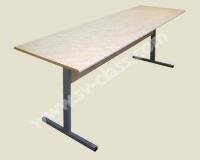 The sizes: 1200*600*700 mm (5th group of height). 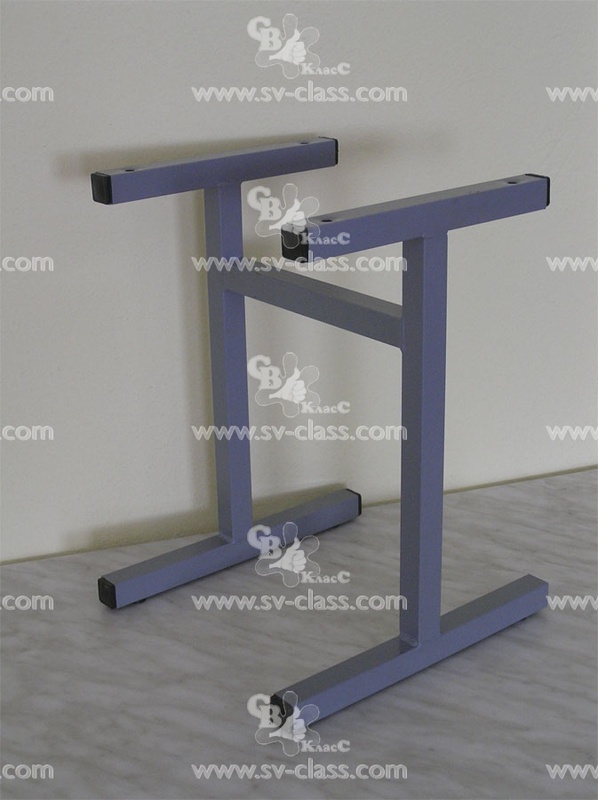 Material of the top: postforming – chipboard, coated with plastic (color — "carrara marble"), PVC edges - 2 mm. 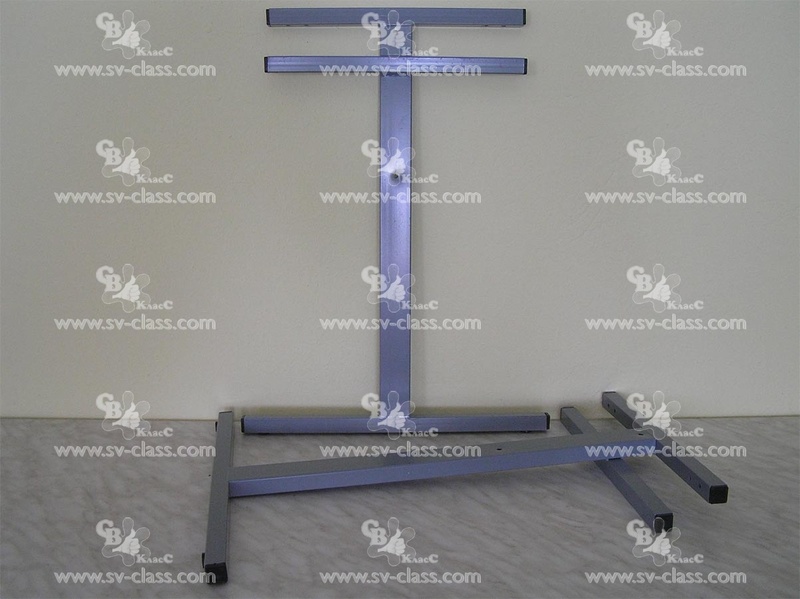 The sizes: 1800*600*700 mm (5th group of height). Four-seater dinner set with benches is intended for the equipment of school dining rooms. 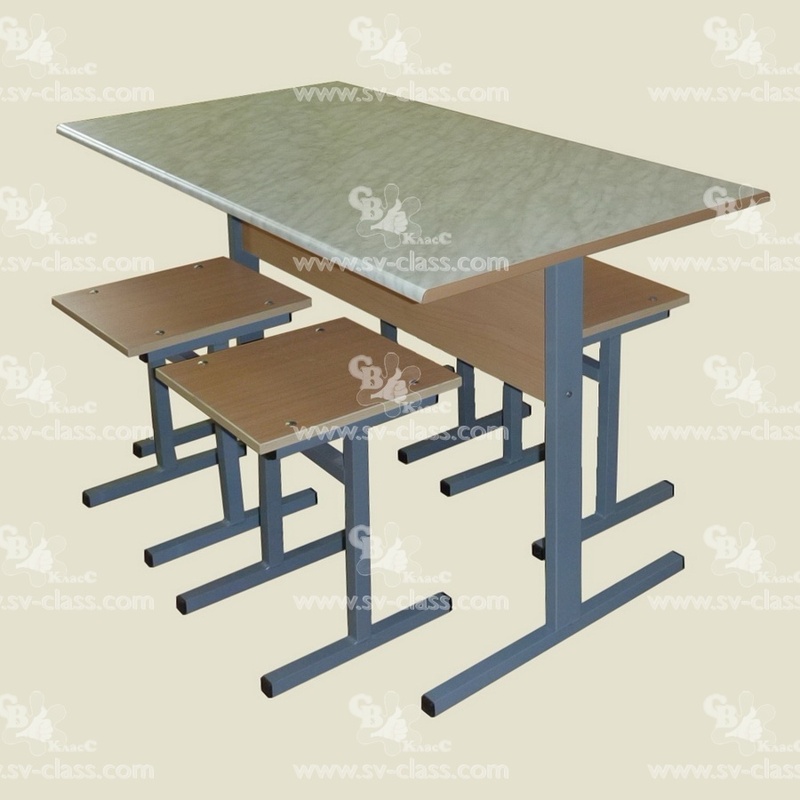 Six-seater dinner set with stools is intended for the equipment of school dining rooms. 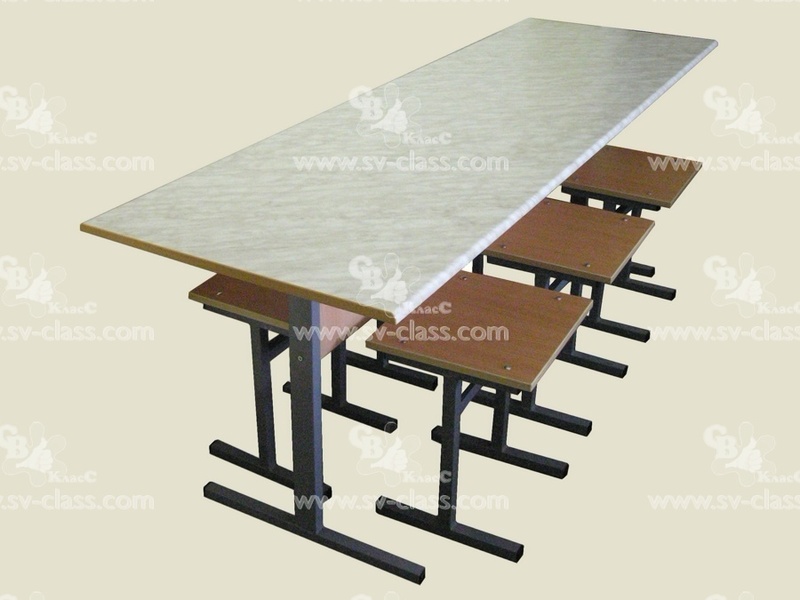 The Six-seater dinner set with benches is intended for the equipment of school dining rooms. 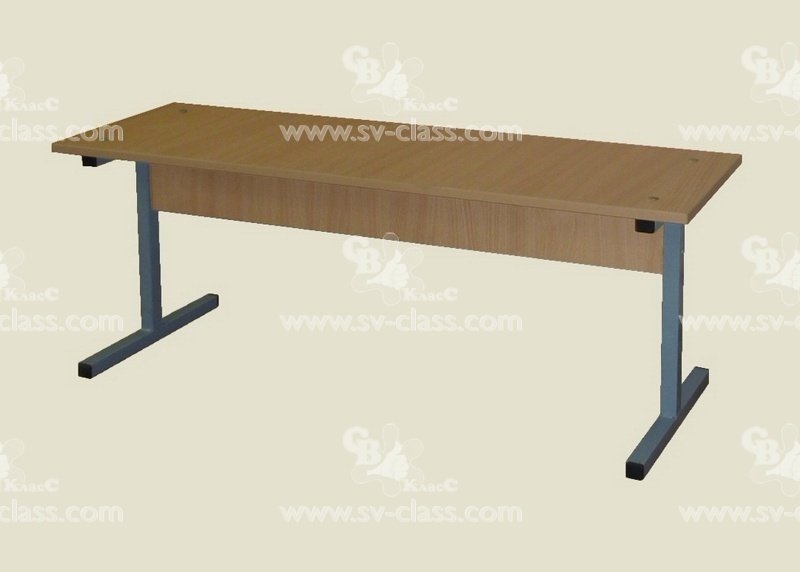 The set consists of a six-seater dinner table and two 3-seater benches. 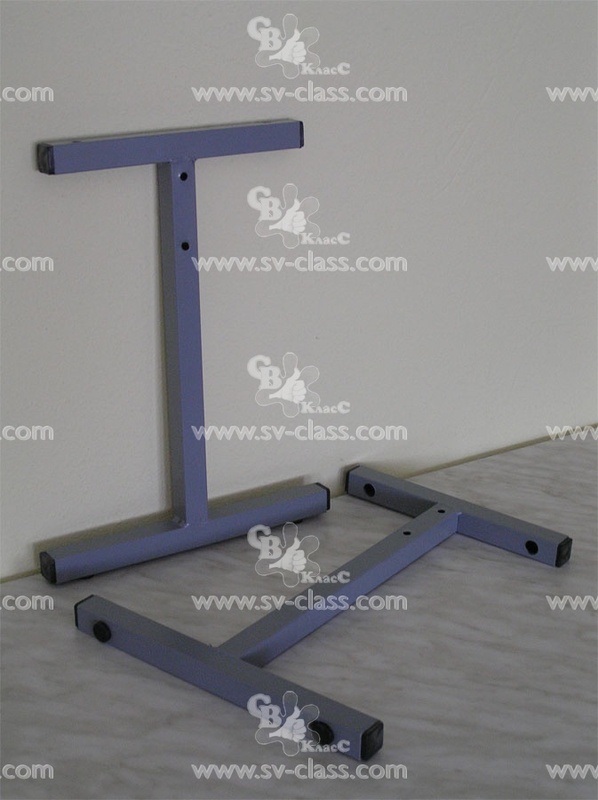 Material: metal tube with square section 25*25 mm. 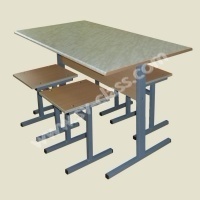 Size: 300*300*400 mm (for stool of 5th height group). 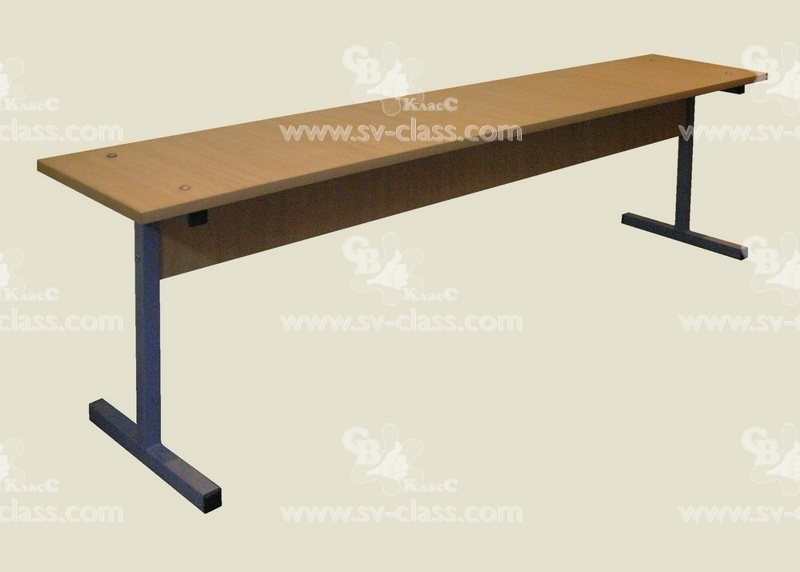 Size: 300*25*400 mm (for bench of 5th height group). Size: 500*25*680 mm (for table of 5th height group).